Feels like a surprise after so much media angst over the role of “Stand Your Ground” in Zimmerman’s acquittal — which was close to zero, by the way — but this isn’t a surprise really. Thirty-one states have SYG laws or a limited variation on them, the “Castle Doctrine” that limits SYG to your own home. Go figure that a majority of voters would endorse them when asked. White voters support “Stand Your Ground” laws 57 – 37 percent while black voters are opposed 57 – 37 percent. Men support these laws 62 – 34 percent while women are divided with 44 percent in favor and 47 percent opposed. Support is 75 – 19 percent among Republicans and 57 – 37 percent among independent voters, with Democrats opposed 62 – 32 percent. 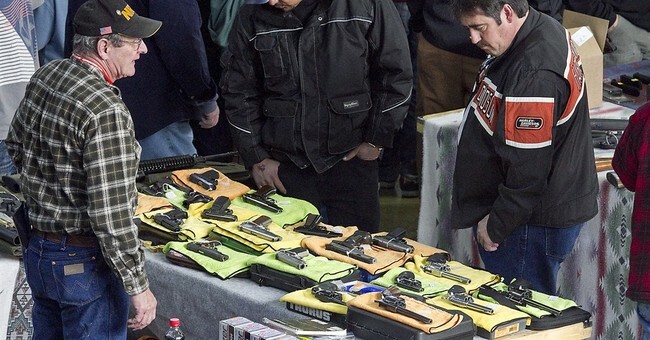 Voters in households where someone owns a gun back the laws 67 – 29 percent. “‘Stand Your Ground’ splits the country sharply along political, gender and racial lines,” said Peter A. Brown, assistant director of the Quinnipiac University Polling Institute. I went looking on Google for polling on SYG before 2012 in order to see where Americans were on this before the Trayvon Martin shooting but it’s hard to come by. How many of the following numbers, then, are a reaction to the specifics of the Martin case (and the widespread albeit erroneous impression that SYG played a major role in his acquittal) and how many are a reaction to SYG in the abstract? The most striking thing: Only among blacks and Democrats is there sharp opposition to SYG. Every other demographic, including Hispanics and famously liberal young adults, shows either strong support for Stand Your Ground or, at worst, ambivalence. That makes me think that the results here are indeed more of an abstract consideration of SYG than a reaction to the Zimmerman verdict, which was opposed by Hispanics and younger voters. Quinnipiac’s phrasing of the question might have been key. Wisely, instead of tossing in the buzzy phrase “Stand Your Ground,” which many respondents would associate with Zimmerman and Martin, they simply stated the principle of SYG and asked people to react. In fact, arguably they didn’t state it clearly enough. “Stand Your Ground” doesn’t say you’re allowed to use deadly force if you feel “threatened,” it says you’re allowed to use deadly force if you’re threatened with death or great bodily harm. If Quinnipiac had stressed that last bit, the numbers here might have been more robust than they are. No problem for Obama, though: The SYG frenzy in the media is all about freaking out Democrats so that they’ll turn out in the midterms. Given the Democratic numbers here, that’s potentially fertile ground.